Following backlash, PM announces cancellation of deal with UN refugee agency to legalize status of 16,000 African infiltrators. 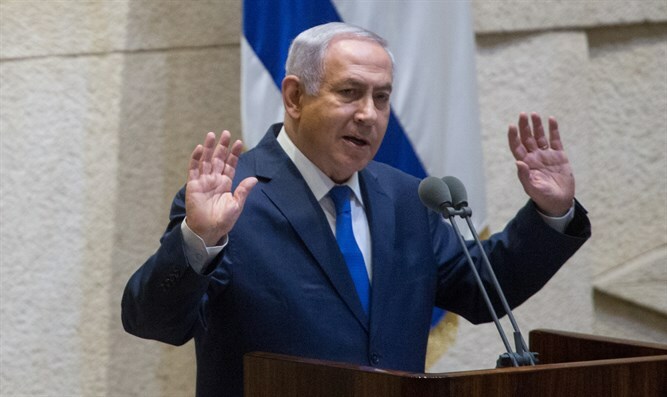 Israeli Prime Minister Binyamin Netanyahu on Tuesday announced the cancellation of a deal between Israel and the United Nations High Commissioner for Refugees, less than 24-hours after the plan was first publicized Monday afternoon. Under the deal reached between the UNHCR and the Prime Minister’s office, the UNHCR agreed to “work to facilitate the departure” of 16,250 infiltrators to Western countries, in exchange for Israel granting legal status to 16,250 infiltrators who would remain. The plan would be implemented over the next five years, and would not address the status of 5,000 additional infiltrators living in Israel. Netanyahu’s announcement Monday, which hailed the agreement as a victory for Israel and the rule of law, prompted a major backlash from coalition partners and activists calling for the removal of infiltrators from south Tel Aviv, where a majority of the nearly 40,000 infiltrators reside. After meeting with opponents of the plan on Tuesday, Netanyahu declared that the plan negotiated with the UNHCR would not be implemented.